Grassland restoration has become increasingly popular because it can enhance biodiversity, pollinator habitat, wildlife habitat, and carbon sequestration. 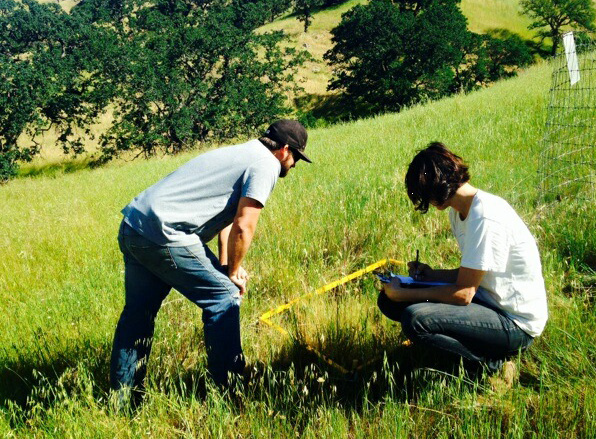 Elise Gornish, University of Arizona Cooperative Extension Specialist (formerly University of California Cooperative Extension Specialist) and Julea Shaw (UC Davis) recently published a great manual called Restoration Manual for Annual Grassland Systems in California. The document provides guidance on how to prepare a site for restoration, which native species are likely to be successful at your site, and different revegetation techniques. Appendix A is particularly useful. It offers a recommended species list based on your region, restoration goal, and soil type. A brief description of each species, along with pros and cons of using that species in restoration, are also included in the body of the manual. Click here to download the manual.